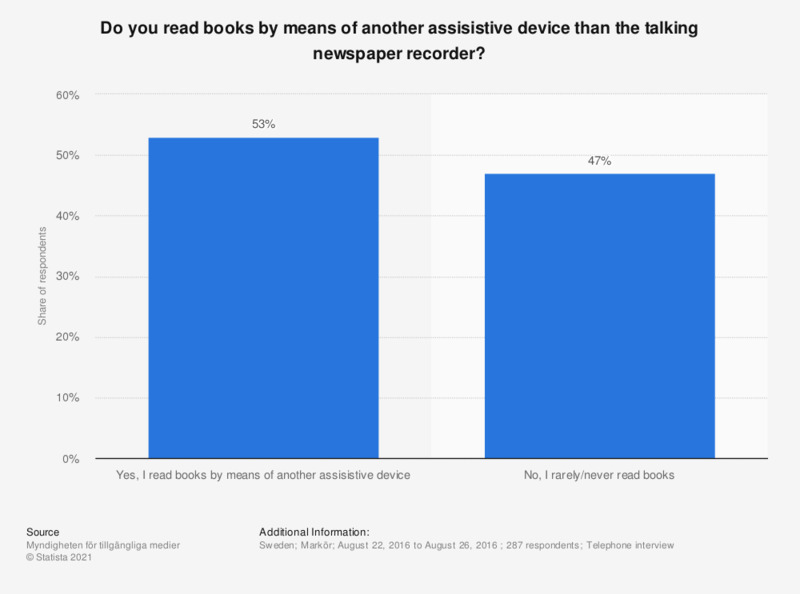 This statistic shows a survey on the usage of alternate assisistive devices to read books in Sweden in 2016. During the survey period, 47 percent of the respondents stated that they rarely or never read books. Have you read a book in whole or in part in any format in the past 12 months?